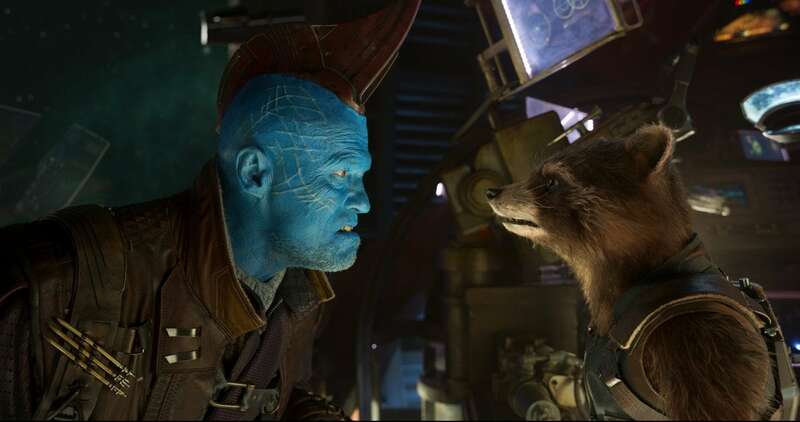 Marvel Studios released a new round of high-resolution still images from the upcoming “Guardians of the Galaxy Vol. 2.” They don’t give any new insight into the upcoming movie’s story, but they do show off most of the movie’s new and returning characters. Here are seven high-quality new images, plus a couple of looks behind the scenes from director James Gunn. We’re not sure exactly where the loyalties of Yondu (Michael Rooker) lie in the next movie, but we know he’s joining the Guardians. It seems like a safe bet that he doesn’t get along with Rocket (voiced by Bradley Cooper) or most of the others, though. Click for the larger version. 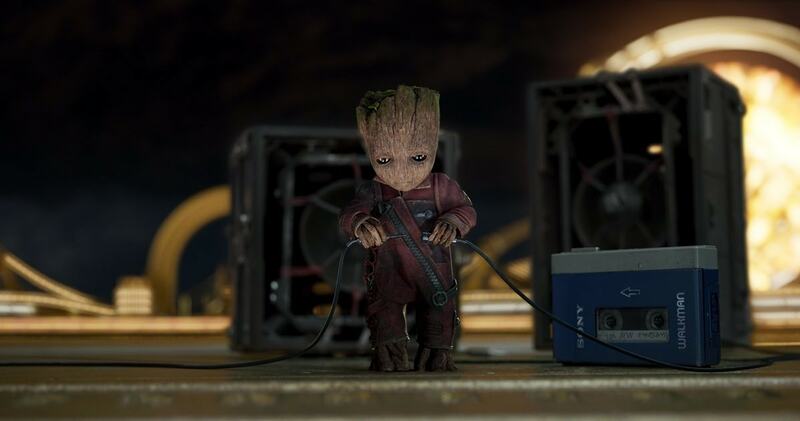 Everyone’s excited for the new tiny version of Groot (voiced by Vin Diesel). So far, trailers for “Guardians of the Galaxy Vol. 2” suggest he’s likely to get up to quite a bit more trouble than the full-sized version did. Click for the larger version. 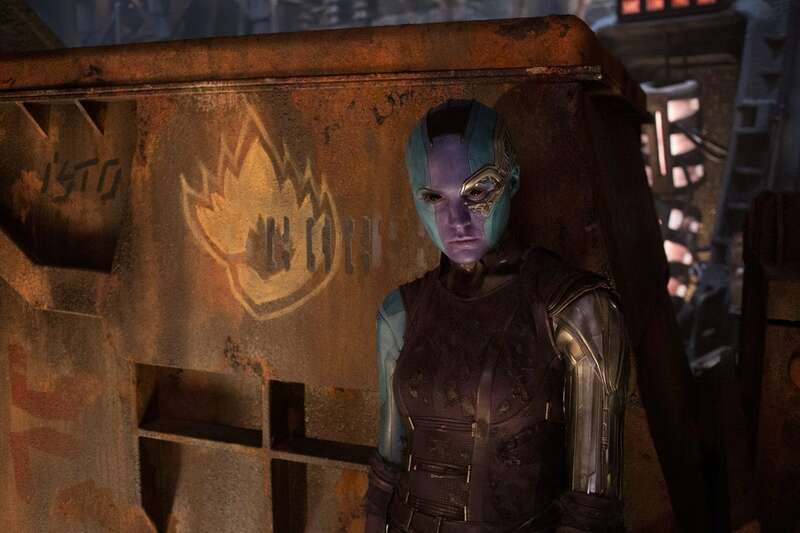 Also among the Guardians is Nebula (Karen Gillan), the adopted daughter of the villain Thanos and adopted sister of Gamora (Zoe Saldana). This shot suggests more potential bad-guy brooding from Nebula, who was always jealous of Gamora. Click for the larger version. 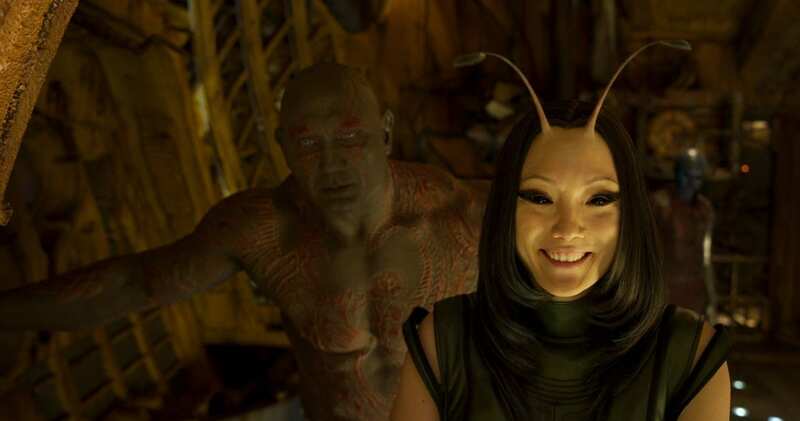 New addition to the team Mantis (Pom Klementieff) hasn’t appeared too much in the trailers. We know she has the power to affect other people’s emotions and even change them at will, which will likely give her a fairly hilarious edge in battles. Click for the larger version. Early clues suggest the big bad of “Guardians of the Galaxy Vol. 2” will be Ayesha (Elizabeth Debicki). 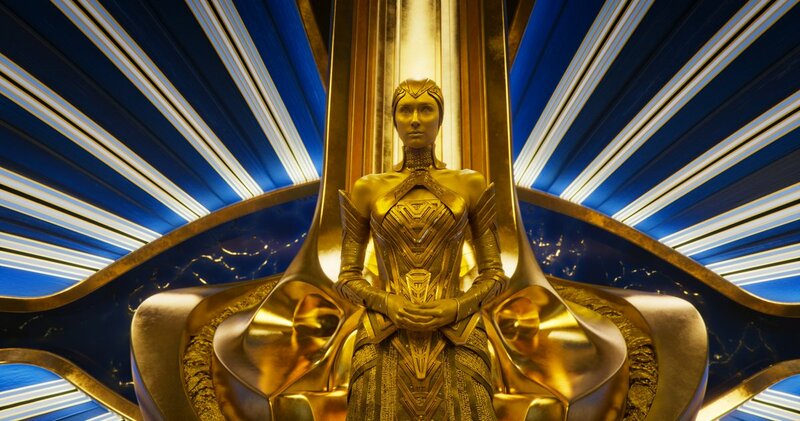 According to a Facebook post by Gunn, “Ayesha is the golden High Priestess of a genetically-perfect people called the Sovereign. She’s not a woman to be screwed with – she, and her entire world, are extraordinarily deadly.” Click for the larger version. 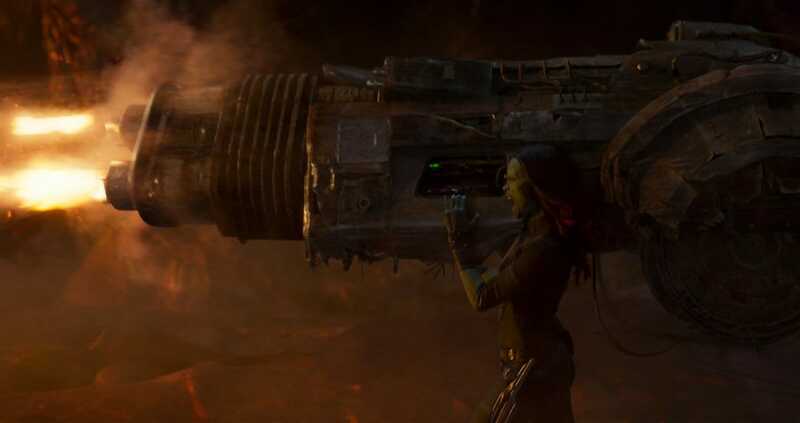 We’ve seen Gamora wielding this massive gun in the “Guardians of the Galaxy Vol. 2,” although we’re still not sure just who (or what) she’s blowing away with it. Click for the larger version.